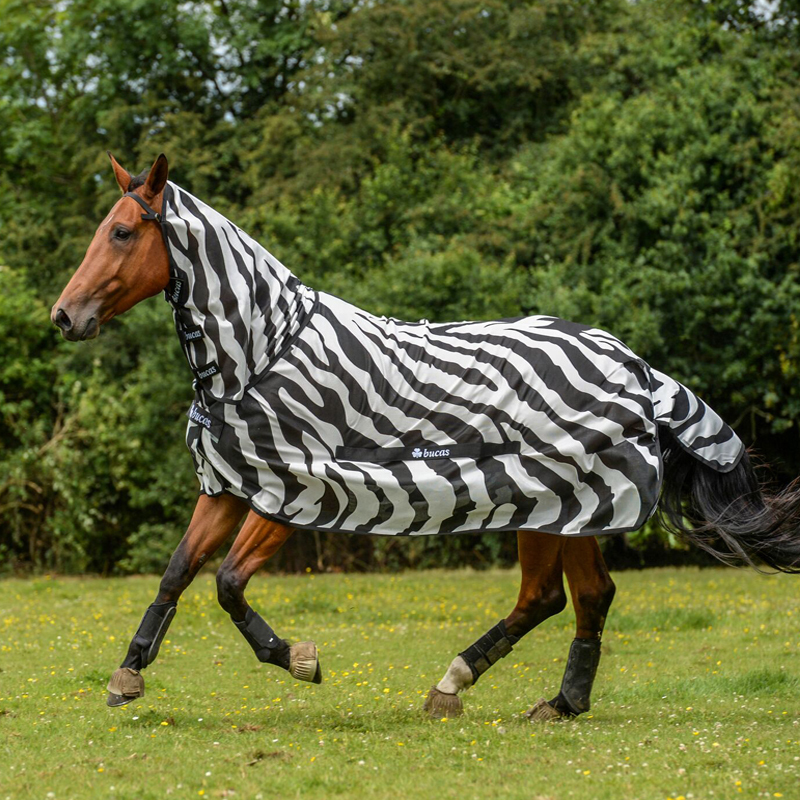 The Buzz-Off Zebra range of fly & insect protective products are made from a specially developed lightweight fine mesh fabric with Zebra print, which flies hate. This fine, light weight mesh blocks even the smallest of insects. It has a UV filter incorporated, to prevent the coat from being bleached.